Even if you cannot make the job fair, you can submit your resume for one of the positions online. The new streetcar system in Washington D.C. will cover 37 miles with eight light rail lines. The streetcars will be the first to run in the DC area since the dismantling of the previous system in 1962. Cars with overhead wires will be used for the first two lines while the rest of the system will be wireless. The first line to open is the H Street/Benning Road line. The goal of bringing streetcars back is to make it easier for residents to get around the city efficiently while helping to reduce congestion, cut down on air pollution and spur economic development. Other potential lines include an Anacostia Extension, a Benning Road Extension, North-South Corridor, M Street SE/SW and Union Station to Georgetown. Streetcars used to be a popular means of getting around Washington D.C. from the 1860s to 1962. However, popularity declined and the streetcars were abandoned in 1962. As the streetcar system expands, more job openings are expected. 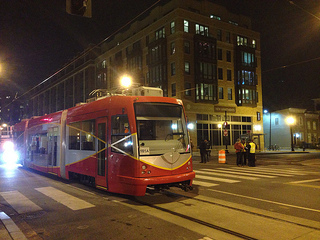 The upcoming job fair may be the first of many for DC Streetcar.